I am a biologist, with a master's degree in Environmental Engineering with focus in limnology and a PhD in Ecology of Aquatic Ecosystem, focusing in ecological economics. My post doc in Environmental Evaluation focused in participatory fishing community assessment. My main interest has been in management and economics of small-scale fisheries, in both marine and freshwater ecosystems, and in economic valuation of natural resources aiming to inform management and conservation. I have studied Brazilian coastal small-scale/artisanal fisheries, and different Brazilian watersheds (Amazon, Paraná and Tocantins-Araguaia) to understand fisheries ecological knowledge, economic and social factors affecting value chain and fisheries dynamics. Additionally, my students have also performed studies in ecological economics and both urban and natural ecosystem, focusing in economic strategies to design conservation and management actions. I am a biologist, with a master's degree and a PhD in Ecology, but who happens to be interested in Human Ecology. Mostly, I'm interested in small-scale fisheries dynamics and management. I have studied both the Brazilian coastal and Amazon small-scale/artisanal fisheries, focusing on the fishers' strategies and behaviors that could lead to (un)sustainable exploitation of fishing resources. In some of my studies, I try to understand fishers' decision-making processes through the use of ecological-economic models. Recently, I have also been interested in linking social and ecological resilience and the mechanisms driving compliance and functioning of effective fisheries co-management arrangements. 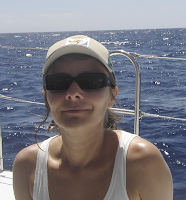 I am a marine biologist, with a master's degree in Biostatistic and a PhD in Mathematics & Statistics. Mostly, I have worked with Bayesian spatial-temporal models to estimate and predict the distribution of relevant important species in order to identify sensible habitats. I have also applied these knowledge to describe fishers behavior, to assess highly discards and by-catches hot-spots, and to identify nursery areas using different kind of fishery dependent and independent data. I have studied different fisheries (industrial and small-scale/artisanal) and several ecosystems (Mediterranean, Indian Ocean and Brazilian coastal areas), working at different spatial (from local to global) and temporal scale. Recently, I have also been interested in linking social and ecological factors in the species distribution models framework to understand how they could affect the distribution of the species.